We sometimes think that if we are not “connected” at all moments, we are going to miss something important. 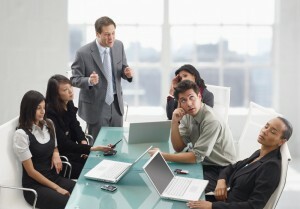 If we are in a meeting that lasts for an hour, we have to be connected, especially if we are responsable for an area or team. Do you have boring meetings? People at many companies I’ve been too complain about long, unproductive meetings. Maybe we sit there during the meeting reading mails, answering them, chatting via whatever is the company tool for messaging and many other things. How about actually contributing to the meeting? If the meeting is not productive, why not state that to the person that organised it at the end and suggest some improvement? Is it necessary that you are present all of the time? Should it be time-boxed better? Is it being facilitated correctly? Are you paying attention when you should be? Who has to improve the situation? I believe that the usefulness of a meeting depends on everyone there, not just whoever called it. If you are not contributing anything and it doesn’t contribute anything to you, should you be there at all? Let’s try to improve how we work, whether it is in Agile or not. Meetings can be productive and useful. The next time you are about to go into one, remember do you really need your laptop in the meeting?